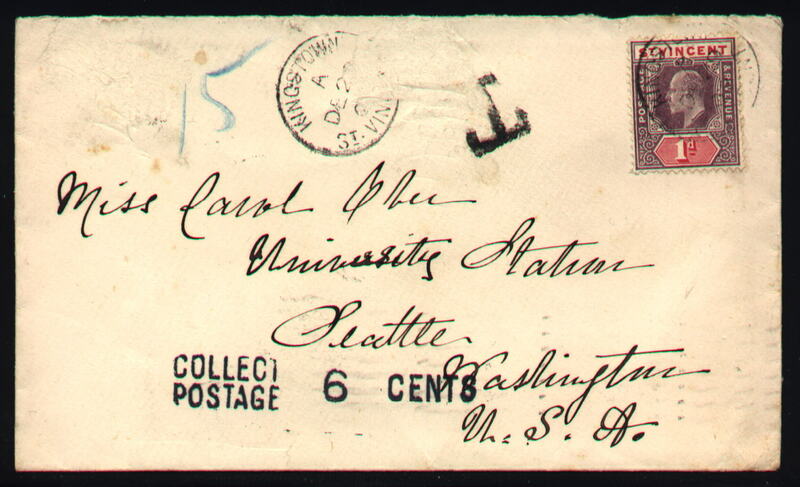 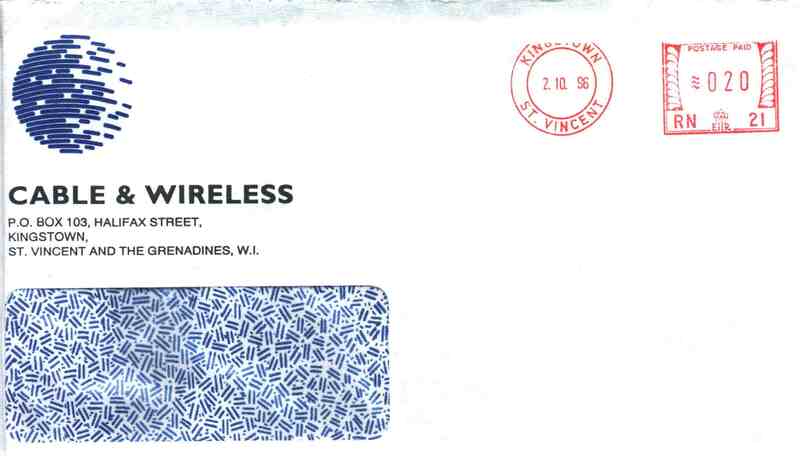 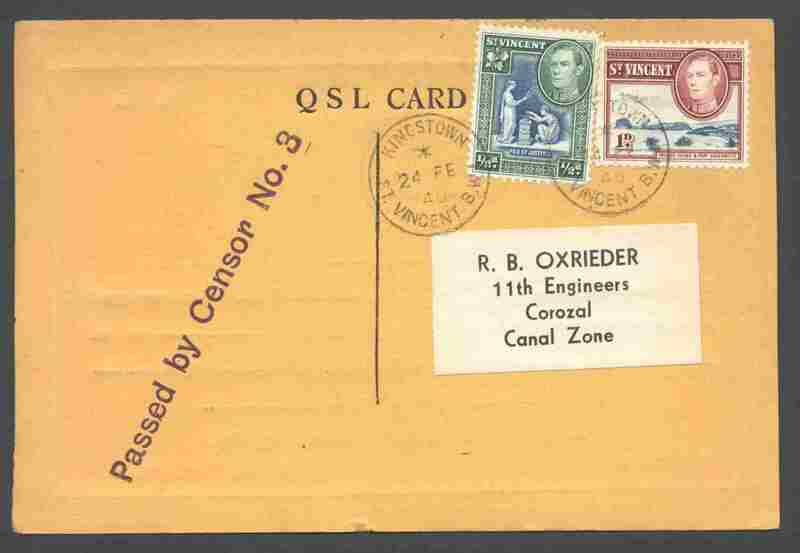 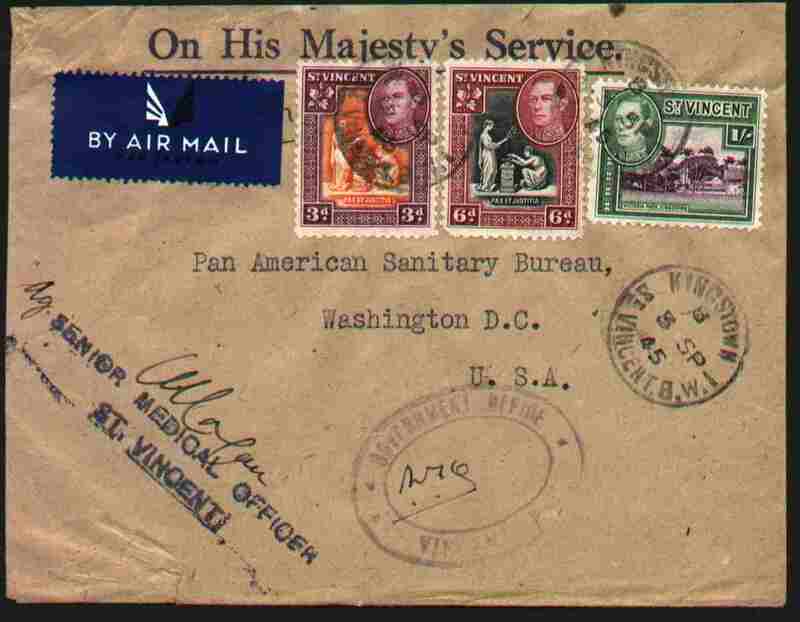 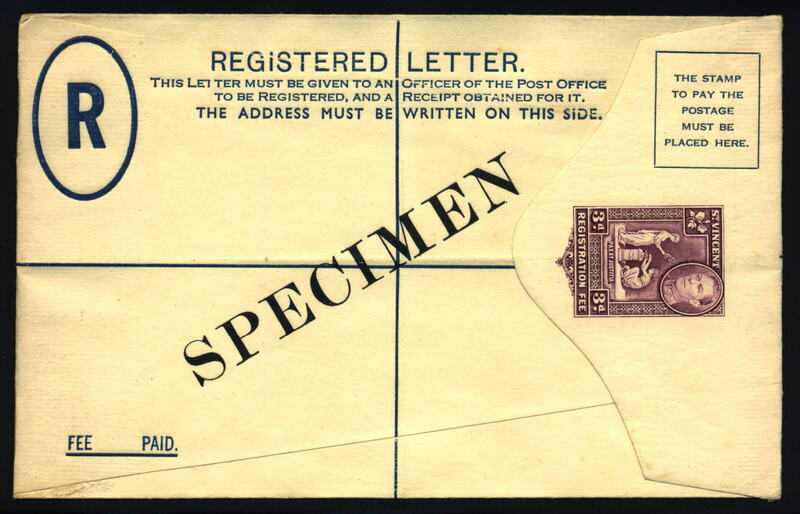 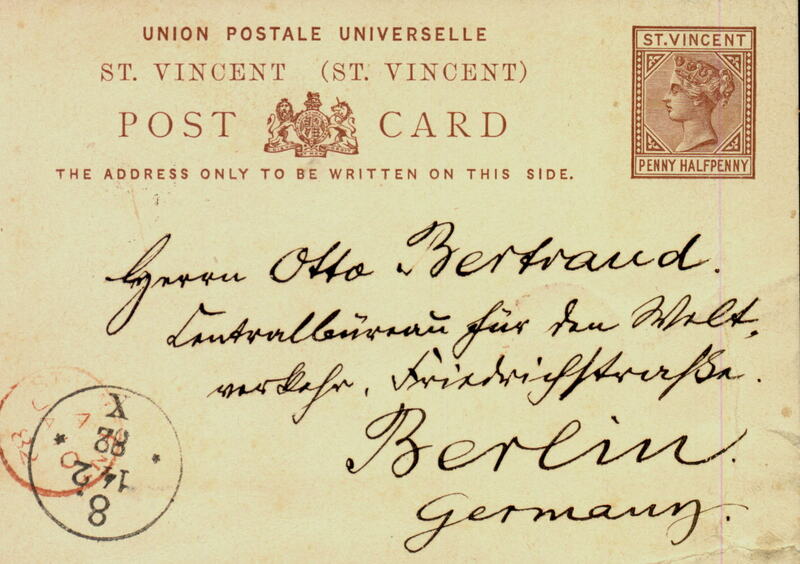 A nice "postage due" cover! 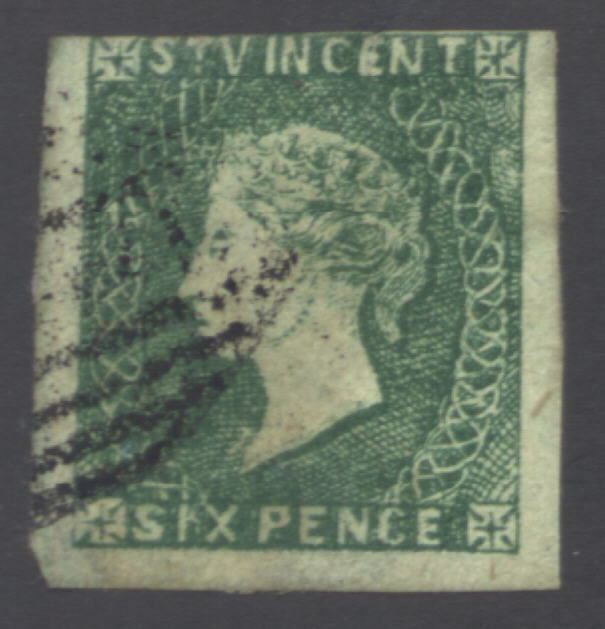 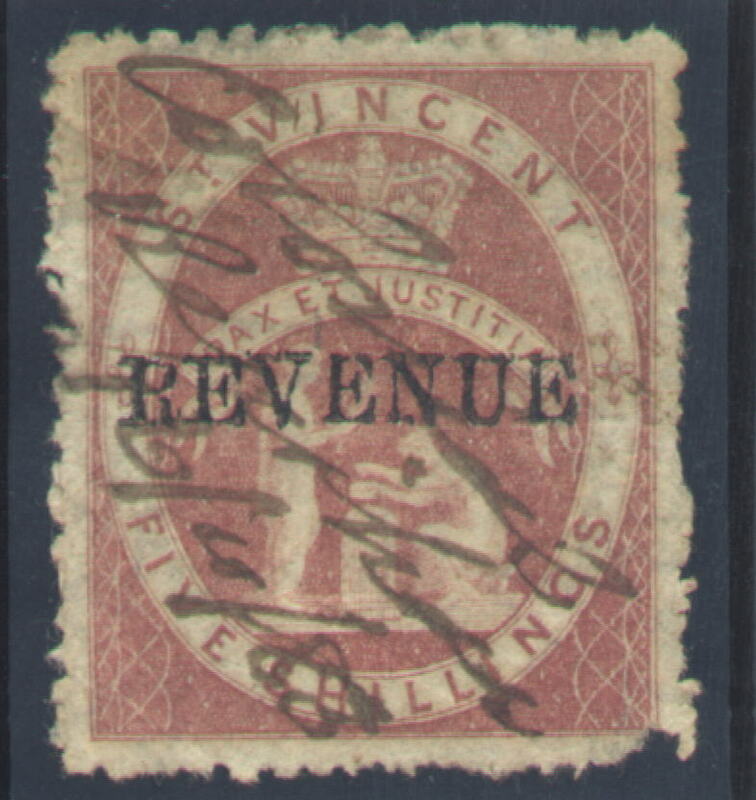 Registration label from "Diamond Village" that uses a label from "Park Hill"
Early 5 shilling REVENUE stamp (overprinted on a regular postage stamp) from the 1880's. 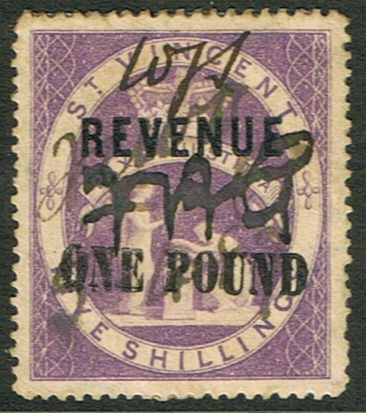 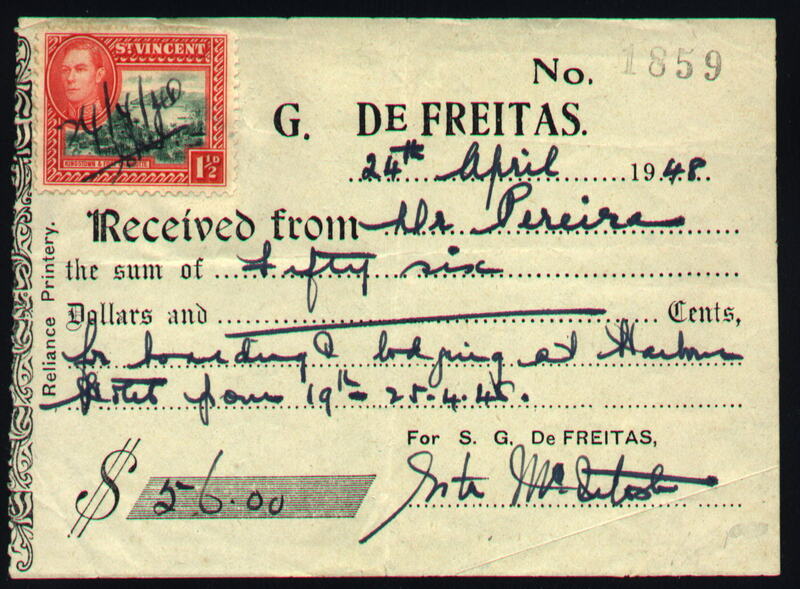 Values above 5 shillings, such as the £1 (shown on the right above) through the £50 values are extremely rare and difficult to find. 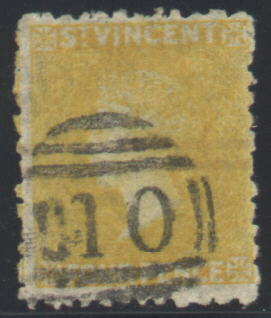 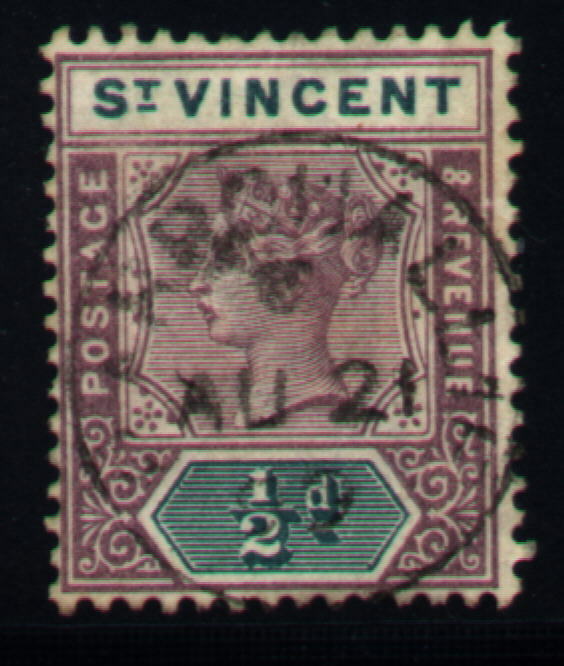 SPECIMEN stamps (almost all St. Vincent stamps since the 1880's are available with SPECIMEN overprints; initially only a few hundred were printed to give to member nations of the Universal Postal Union [UPU]. 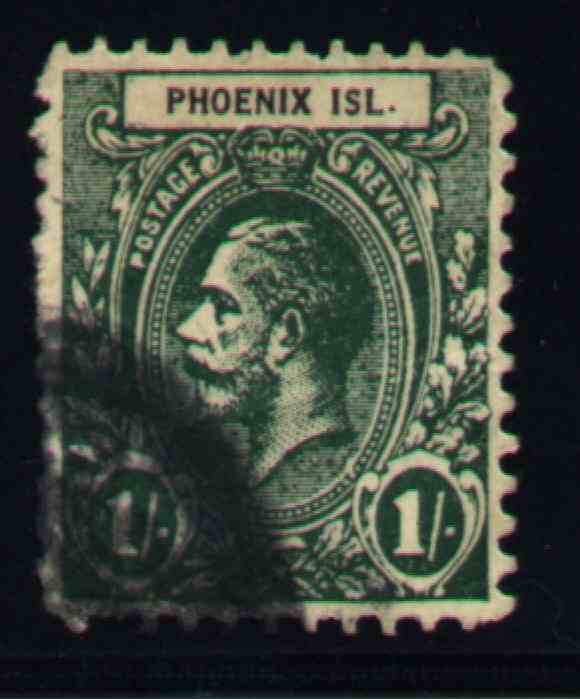 In the 1970's to current, these were often given away to collectors that ordered stamps from the Philatelic Services Bureau on St. Vincent). 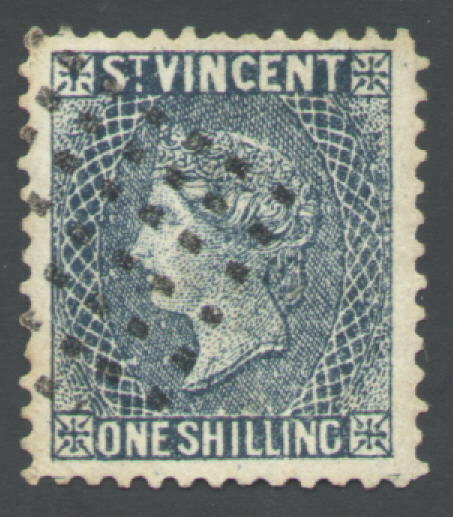 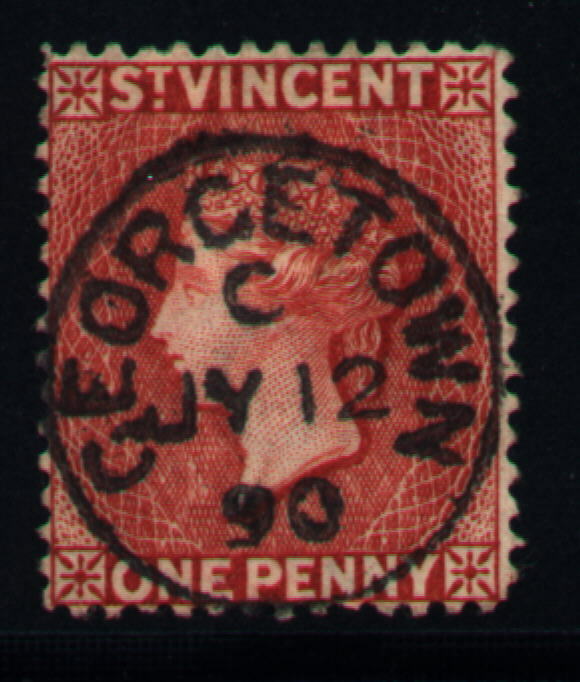 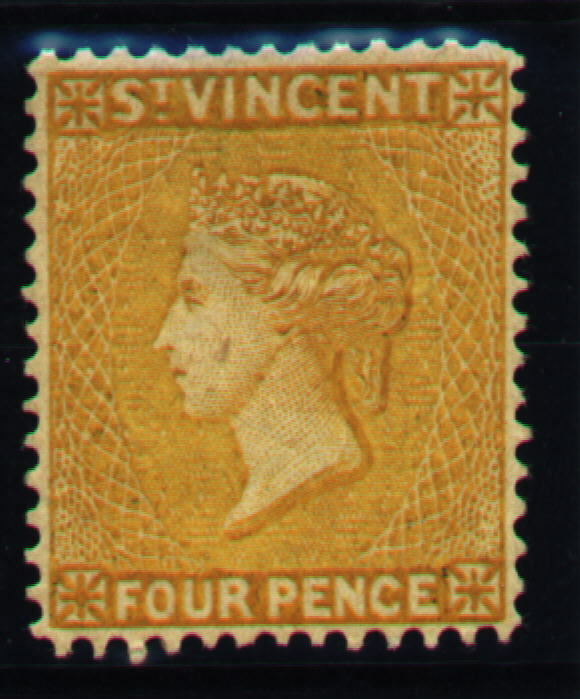 See http://www.freewebs.com/stvincentstamps/errors.htm for more information and a discussion about St. Vincent error stamps). 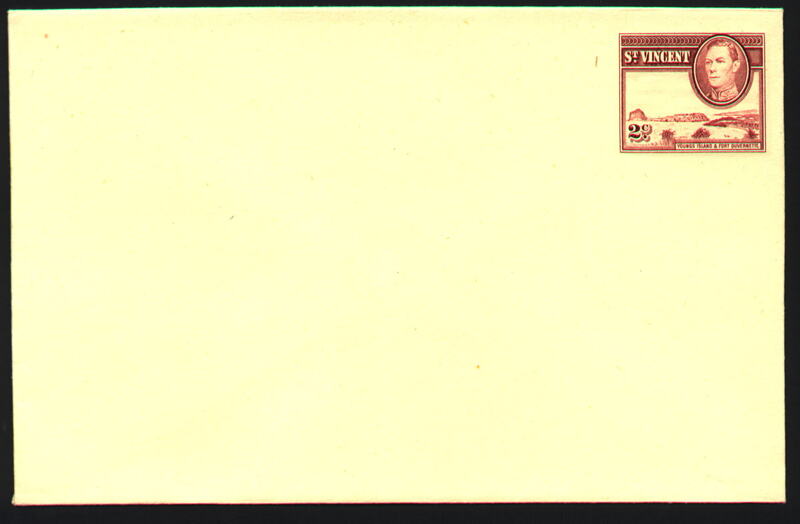 Proofs (Color separation and other proofs are available for some of the stamps from the 1980's).